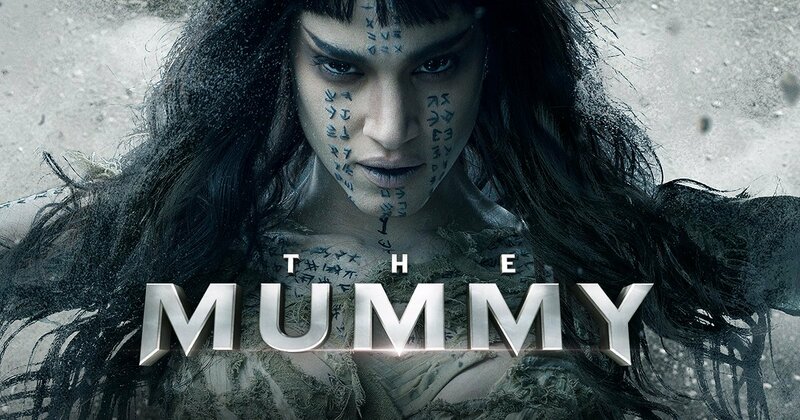 There’s been quite a few films from ‘The Mummy’ so far (7 before now if you count the ‘straight to DVD’ releases), so it’s likely that most people will have seen at least one. I remember the original ‘The Mummy’ quite well as it was one of the first 12-rated films that I watched and, being a child, thought it was awesome. I then watched some of the others later on, but gave up by about the fourth one. Now however, we’re being treated to yet another unnecessary reboot of a franchise that was thought to be dead and buried, this time directed by Alex Kurtzman, who you may know from ‘Transformers’ and ‘The Amazing Spiderman’. Instead of Brendan Frazer as Rick O’Connell we now follow the story of Nick Morton (Tom Cruise), a treasure hunter mysteriously similar to a certain Ethan Hunt who’s on a mission to recover something of worth from Iraq with fellow treasure hunter Chris Vail (Jake Johnson). After an air strike in a remote village a sinkhole opens up in the ground revealing a mysterious Egyptian tomb, and Nick and Chris are in luck – except archaeologist Jenny (Annabelle Wallis) manages to emerge at the scene before Nick can get his thieving hands inside the tomb, and they all end up going down together to discover what lies beneath. A mysterious sarcophagus is retrieved, believed to contain the mummified body of evil princess Ahmanet (Sofia Boutella) but in classic ‘The Mummy’ style things go a bit pear-shaped when an unfortunate series of events occur and people start to look a bit cursed. I don’t really know where to start with this one because it could have been quite enjoyable – the introductory scene from the past was well done, and the backstory behind the main plot was really interesting. There wasn’t much focus on it though, so instead we got two hours of in-your-face action scenes and terrible one-liners from Tom Cruise that really should have been expected yet still made me roll my eyes. There wasn’t enough character development either, and I felt very little towards each of the main characters because we just don’t learn anything about them. Nick Morton was just a rogue, and Jenny just an archaeologist. Even Russell Crowe as Dr. Jekyll wasn’t good enough, as he was just an angry science guy and not much else. However, I did like the parts of the film that were geared towards Ahmanet’s story – these tended to be the most well-filmed, and her story was largely quite interesting. Again though, it was hard to feel much for her as all that could have been was omitted, presumably to fit in more shots of Tom Cruise and Annabelle Wallis running away from various threats. I also liked one particular action scene involving a plane – it was exciting as action should be - but sadly the novelty wore off after seeing one too many near-death experiences. I think the problem was that there was just too much going on – the writers seemed to want to get so much into it that it was just too much deal with. The plot wasn’t even complicated, but with so many archaeological digs and people being cursed all going on at the same time it made it hard to follow completely, and I found myself losing interest. Nevertheless, the 2017 version of ‘The Mummy’ is clearly part of the same franchise we all know, and so at least it may bring back some fond memories of the original whilst watching. The storyline was bearable and the action was entertaining in parts, but with a whole bunch of clichés and a frankly terrible start to Universal’s ‘Dark Universe’ series, I can only give this one 1/5.